No, this is not a piece on the Pet Shop Boys’ iconic song. It’s a piece on a phrase I haven’t stopped hearing since going full vegan in January. Oh, the irony. It’s funny how language works sometimes. I never thought I’d be that person, to have to defend myself when people at social or family gatherings realise that I won’t touch most of the food on the table. “And I went to all this trouble to make this for you… Δε θα το φας;! Αμαρτία. Not because I don’t know my own reasons, but I fear that no matter what I say, the person asking already has made up their mind that I’m wrong or odd. I can’t even begin to think the ordeal I am to be put through this Greek Easter, when I will turn down everyone’s invites not just because I won’t be able to eat the food but because I won’t even want to look at it. I won’t lie, I loved the taste of meat and animal products and used to think I would never be able to give up on that, but if I were to give an answer it’d most likely be that “it’s a sin”, for me, or at least it feels like committing one. Although I started this journey for my own health benefit, at this stage, I don’t anymore value my own taste buds over the life of an animal. I have fostered rescued animals several times in the past, and recently it came to the point that through other vegan friends – far more conscious and concerned about animal welfare than I was – I got to spent time with pigs, lambs and chickens. Then I watched how other animals in our food chain ‘live’ and die in more unimaginably cruel ways than I can count. Since doing that, I can’t put it past myself to eat them. They are equally and even more sentient and intelligent – not to mention playful – than our beloved cats, dogs, guinea pigs and canaries, yet we eat them. Why? Because they don’t look as cute and their meat tastes good. I had tried veganism before, after a long stint of being vegetarian, but not having attempted to slowly remove groups of foods from my diet gradually, resulted in me relapsing to meat eating. I never had the right incentive. Veganism has become an ethical choice for me, a decision I have made in order to stop showing support to animal cruelty and to help the planet breathe again. In the past I would proclaim and protest my love for animals, yet I’d happily eat them as I had not associated animal cruelty with the way my food was getting on my table. I had not properly researched what production entails, I had not watched documentaries in full – let alone witnessed it with my own eyes. Australia is one of the world’s biggest markets when it comes to animal products. In spite of regulations and classifications the industry goes against natural selection and practices cruelty, eliminating males and painfully exploiting females. Even when something says ‘free-range’ or ‘ethical’ it is not; animals live in their own excrement, in chaos, depopulated, caged, kicked, tortured, left to eat each other’s rotting or cancer ridden bodies; gassed or kept waiting to be slaughtered whilst hearing each other’s cries. Isn’t that a sin? Decades of genetic manipulation and genetic breeding takes a toll on the animals’ health and of course ours, as we consume them. We have not only disassociated with what happens to those living creatures that do suffer for their entire lifespan but we’ve also disassociated with the quality of our food as long as it looks good wrapped in plastic or cooked on a plate. What about all the toxins, the hormones and the pain and suffering that those bodies have been subjected to, all of it, entering our bodies? Why are so many of us getting sick? Eating a plant based does not mean I am missing out on nutrients. Most people that choose this lifestyle actually eat healthier and are more aware when it comes to the nutritional value of foods than omnivores, who mainly eat out of habit. A diet rich in vegetables, fruits, whole grains, nuts and seeds is richer in fibre, vitamins and minerals which actually means lower blood pressure and cholesterol as well as lower rates of heart disease, certain cancers and type 2 diabetes. Meanwhile, being vegan lowers the carbon footprint humans leave on the planet since the industry places a heavy burden on the environment. A plant-based lifestyle requires one third of the land used to sustain an animal product based diet, ultimately reducing strain on resources the likes of land, energy and water. I am not the one to pass judgement on people who still choose to eat meat and animal products as I was 36 years late myself. I will, however, suggest that everyone watches the ‘Dominion’ documentary before deciding which way to go. 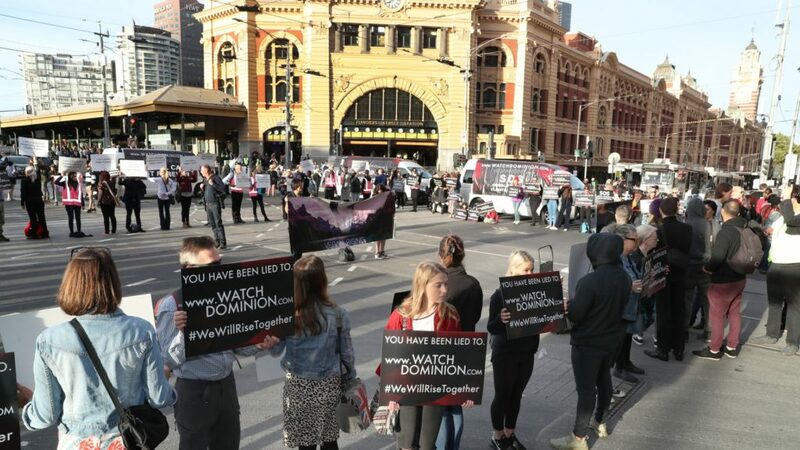 Dominion was filmed in Australia, using drones, hidden and handheld cameras capturing the truth of modern animal agriculture. There is no ‘humane’ way of serving cruelty in mass production. Humans have moved past the point of using animals purely for food, onto exploitation and unnecessary abuse for the purposes of research, clothing or even entertainment. If you watch the documentary and still want to continue eating meat, that’s fine. If you’re keen to explore less ‘cruel’ options, remember that Greek cuisine is full of vegan deliciousness that will make the transition feel like a walk in the park.